This article helps to understand OOP concepts, focusing on .NET/ C#. This is written in the form of asking questions and writing answers to them, making it easy to understand. 4.1. What is Software Architecture? 4.2. Why Architecture is important? 4.4. What is an Object? 4.5. What is a Class? 4.6. How to identify and design a Class? 4.7. What is Encapsulation (or information hiding)? 4.9. What is the difference between Association, Aggregation and Composition? 4.10. What is Abstraction and Generalization? 4.11. What is an Abstract class? 4.12. What is an Interface? 4.13. What is the difference between a Class and an Interface? 4.14. What is the difference between an Interface and an Abstract class? 4.15. What are Implicit and Explicit interface implementations? 4.18. What is Method Overloading? 4.19. What is Operator overloading? 4.20. What is Method Overriding? 4.21. What is a Use Case? 4.22. What is a Class Diagram? 4.23. What is a Package Diagram? 4.24. What is a Sequence Diagram? 4.25. What is two-tier architecture? 4.26. What is three-tier architecture? 4.27. What is MVC architecture? 4.29. What is the Data Access Layer? 4.30. What is the Business Logic Layer? 4.31. What is Gang of Four (GoF) Design Patterns? 4.32. What is the difference between Abstract Factory and Builder design patterns? I have noticed an increase in the number of articles published in the Architecture category in CodeProject during the last few months. The number of readers for most of these articles is also high, though the ratings for the articles are not. This indicates that readers are interested in reading articles on architecture, but the quality does not match their expectations. This article is a constructive attempt to group/ define/ explain all introductory concepts of software architecture for seasoned developers who are looking to take their next step as system architects. One day I read an article that said that the richest two percent own half the world's wealth. It also said that the richest one percent of adults owned 40 percent of global assets in the year 2000. And further, the richest 10 percent of adults accounted for 85 percent of the world's total wealth. So there is an unbalanced distribution of wealth in the physical world. Have you ever thought of an unbalanced distribution of knowledge in the software world? According to my view point, the massive expansion of the software industry is forcing developers to use already implemented libraries, services, and frameworks to develop software within ever shorter periods of time. New developers are trained to use (I would say more often) already developed software components to complete the development quicker. They just plug in an existing library and some how manage to achieve the requirements. But the sad part of the story is, they never get the training to define, design the architecture for, and implement such components. As a number of years pass by, these developers become leads and software architects. Their titles change, but the old legacy of not understanding, of not having any architectural experience, continues, creating a vacuum of good architects. The bottom line is that only a small percentage of developers know how to design a truly object oriented system. The solution to this problem is getting harder every day as the aggressive nature of the software industry does not support an easy adjustment to existing processes, and also the related online teaching materials are either complex, or less practical, or sometimes even wrong. Most of them use impractical, irrelevant examples of shapes, animals, and many other physical world entities to teach the concepts of software architecture. There are only very few good business-oriented design references. Unfortunately, I myself am no exception and am a result of this very same system. I got the same education that all of you did, and also referred to the same resource set you all read. Coming back to the initial point, I noticed that there is a knowledge gap, increasing every day, between architects who know how to architect a system properly and others who do not. The ones who know, know it right. But the ones who do not know, know nothing. Just like the world’s wealth distribution, it is an unbalanced distribution of knowledge. This article began after reading and hearing questions new developers have on the basics of software architecture. There are some good articles out there, but developers still struggle to understand the basic concepts, and more importantly, the way to apply them correctly. As I see it, newcomers will always struggle to understand the precise definition of a new concept, because it is always a new and hence unfamiliar idea. The ones who have experience understand the meaning, but the ones who don’t struggle to understand the very definition. It is like that. Employers want experienced employees. So they say, you need to have experience to get a job. But how the hell is one supposed to have experience if no one is willing to give him a job? As in the general case, the start with software architecture is no exception. It will be difficult. When you start to design your very first system, you will try to apply everything you know or have learned from everywhere. You will feel that an interface needs to be defined for every class, like I did once. You will find it harder to understand when and when not to do something. Just prepare to go through the painful process. Others will criticize you, may laugh at you, and say that the way you have designed is wrong. Listen to them, and learn continuously. In this process you will also have to read and think a lot. I hope that this article will give you the right start for that long journey. “The knowledge of the actions of great men, acquired by long experience in contemporary affairs, and a continual study of antiquity” – I read this phrase when I was reading the book named “The Art of War”, seems applicable here, isn’t it? This article is an effort to provide an accurate information pool for new developers on the basics of software architecture, focusing on Object Oriented Programming (OOP). If you are a developer who has a minimum of three years of continuous development experience and has that hunger to learn more, to step-in to the next level to become a software architect, this article is for you. Appropriate use of development and delivery approaches, techniques and tools. OOP is a design philosophy. It stands for Object Oriented Programming. Object-Oriented Programming (OOP) uses a different set of programming languages than old procedural programming languages (C, Pascal, etc.). Everything in OOP is grouped as self sustainable "objects". Hence, you gain reusability by means of four main object-oriented programming concepts. In order to clearly understand the object orientation model, let’s take your “hand” as an example. The “hand” is a class. Your body has two objects of the type "hand", named "left hand" and "right hand". Their main functions are controlled or managed by a set of electrical signals sent through your shoulders (through an interface). So the shoulder is an interface that your body uses to interact with your hands. The hand is a well-architected class. The hand is being reused to create the left hand and the right hand by slightly changing the properties of it. An object can be considered a "thing" that can perform a set of related activities. The set of activities that the object performs defines the object's behavior. For example, the Hand (object) can grip something, or a Student (object) can give their name or address. In pure OOP terms an object is an instance of a class. A class is simply a representation of a type of object. It is the blueprint, or plan, or template, that describes the details of an object. A class is the blueprint from which the individual objects are created. Class is composed of three things: a name, attributes, and operations. According to the sample given below we can say that the Student object, named objectStudent, has been created out of the Student class. In real world, you'll often find many individual objects all of the same kind. As an example, there may be thousands of other bicycles in existence, all of the same make and model. Each bicycle has built from the same blueprint. In object-oriented terms, we say that the bicycle is an instance of the class of objects known as bicycles. In the software world, though you may not have realized it, you have already used classes. For example, the TextBox control, you always used, is made out of the TextBox class, which defines its appearance and capabilities. Each time you drag a TextBox control, you are actually creating a new instance of the TextBox class. A class should have one, and only one, reason to change. Should be able to extend any classes' behaviors, without modifying the classes.. Derived classes must be substitutable for their base classes. Depend on abstractions, not on concretions. Make fine grained interfaces that are client specific. For more information on design principles, please refer to Object Mentor. Additionally to identify a class correctly, you need to identify the full list of leaf-level functions or operations of the system (granular level use cases of the system). Then you can proceed to group each function to form classes (classes will group same types of functions or operations). However a well-defined class must be a meaningful grouping of a set of functions and should support the reusability, while increasing expandability or maintainability, of the overall system. In software world the concept of dividing and conquering is always recommended, if you start analyzing a full system at the start, you will find it harder to manage. So the better approach is to identify the module of the system first and then dig deep in to each module separately to seek out classes. These concepts are the four main gods of OOP world and in software term, they are called four main Object Oriented Programming (OOP) Concepts. The encapsulation is the inclusion-within a program object-of all the resources needed for the object to function, basically, the methods and the data. In OOP the encapsulation is mainly achieved by creating classes, the classes expose public methods and properties. A class is kind of a container or capsule or a cell, which encapsulate a set of methods, attribute and properties to provide its indented functionalities to other classes. In that sense, encapsulation also allows a class to change its internal implementation without hurting the overall functioning of the system. That idea of encapsulation is to hide how a class does its business, while allowing other classes to make requests of it. In order to modularize/ define the functionality of a one class, that class can uses functions or properties exposed by another class in many different ways. According to Object Oriented Programming there are several techniques classes can use to link with each other. Those techniques are named association, aggregation, and composition. There are several other ways that an encapsulation can be used, as an example we can take the usage of an interface. The interface can be used to hide the information of an implemented class. According to the sample above (let’s assume that both LocalStudent and ForeignStudent classes have implemented the IStudent interface) we can see how LocalStudent and ForeignStudent hide their localize implementing through the IStudent interface. As an example in both instances ‘myLStudent’ and 'myFStudent' are of type IStudent, but they both carries two separate local and foreign implementation underneath. This way a method call like 'DoLearn(object)' to 'myLStudent' and 'myFStudent' object will trigger their respective foreign and local implementation. This way 'myFStudent' carrying 'ForeignStudent' will trigger the respective learning function with foreign syllabus while the other one with 'LocalStudent' will trigger the learning function with local syllabus. Association is a (*a*) relationship between two classes. It allows one object instance to cause another to perform an action on its behalf. Association is the more general term that define the relationship between two classes, where as the aggregation and composition are relatively special. In this case we can say that there is an association between StudentRegistrar and RecordManager or there is a directional association from StudentRegistrar to RecordManager or StudentRegistrar use a (*Use*) RecordManager. Since a direction is explicitly specified, in this case the controller class is the StudentRegistrar. To some beginners, association is a confusing concept. The troubles created not only by the association alone, but with two other OOP concepts, that is association, aggregation and composition. Every one understands association, before aggregation and composition are described. Aggregation or composition cannot be separately understood. If you understand aggregation alone it will crack the definition given for association, and if you try to understand composition alone it will always threaten the definition given for aggregation, all three concepts are closely related, hence must be studed together, by comparing one definition to another. Let’s explore all three and see whether we can understand the differences between these useful concepts. 4.9. What is the difference between Association, Aggregation, and Composition? Association is a *has-a* relationship between two classes where there is no particular ownership in place. It is just the connectivity between the two classes. When you define a variable of one class in another class, you enable first to associate functions and properties of the second class. Then again both Aggregation and Composition are types of Association. Aggregation is a weak type of Association with partial ownership. For an Aggregation relationship, we use the term *uses* to imply a weak *has-a* relationship. This is weak compared to Composition. Then again, weak meaning the linked components of the aggregator may survive the aggregations life-cycle without the existence of their parent objects. For example, a school department *uses* teachers. Any teacher may belong to more than one department. And so, if a department ceases to exist, the teacher will still exist. On the other hand, Composition is a strong type of Association with full ownership. This is strong compared to the weak Aggregation. For a Composition relationship, we use the term *owns* to imply a strong *has-a* relationship. For example, a department *owns* courses, which means that the any course's life-cycle depends on the department's life-cycle. Hence, if a department ceases to exist, the underlying courses will cease to exist as well. Whenever there is no ownership in place, we regard such a relationship as just an Association and we simply use the *has-a* term, or sometimes the verb describing the relationship. For example, a teacher *has-a* or *teaches* a student. There is no ownership between the teacher and the student, and each has their own life-cycle. In the example given above, I can say that University aggregate Chancellor or University has an (*has-a*) Chancellor. But even without a Chancellor a University can exists. But the Faculties cannot exist without the University, the life time of a Faculty (or Faculties) attached with the life time of the University . If University is disposed the Faculties will not exist. In that case we called that University is composed of Faculties. So that composition can be recognized as a special type (strong kind) of an aggregation. Same way, as another example, you can say that, there is a composite relationship in-between a KeyValuePairCollection and a KeyValuePair. As it was with the Faculty and the University, the two mutually depend on each other. .NET and Java uses the Composite relation to define their Collections. I see Composition is being used in many other ways too. However the more important factor, that most people forget is the life time factor. The life time of the two classes that has bond with a composite relation mutually depend on each other. If you take the .NET Collection to understand this, there you have the Collection element define inside (it is an inner part, hence called it is composed of) the Collection, farcing the Element to get disposed with the Collection. If not, as an example, if you define the Collection and it’s Element to be independent, then the relationship would be more of a type Aggregation, than a Composition. So the point is, if you want to bind two classes with Composite relation, more accurate way is to have a one define inside the other class (making it a protected or private class). This way you are allowing the outer class to fulfill its purpose, while tying the lifetime of the inner class with the outer class. Abstraction is an emphasis on the idea, qualities and properties rather than the particulars (a suppression of detail). The importance of abstraction is derived from its ability to hide irrelevant details and from the use of names to reference objects. Abstraction is essential in the construction of programs. It places the emphasis on what an object is or does rather than how it is represented or how it works. Thus, it is the primary means of managing complexity in large programs. While abstraction reduces complexity by hiding irrelevant detail, generalization reduces complexity by replacing multiple entities which perform similar functions with a single construct. Generalization is the broadening of application to encompass a larger domain of objects of the same or different type. Programming languages provide generalization through variables, parameterization, generics and polymorphism. It places the emphasis on the similarities between objects. Thus, it helps to manage complexity by collecting individuals into groups and providing a representative which can be used to specify any individual of the group. Abstraction and generalization are often used together. Abstracts are generalized through parameterization to provide greater utility. In parameterization, one or more parts of an entity are replaced with a name which is new to the entity. The name is used as a parameter. When the parameterized abstract is invoked, it is invoked with a binding of the parameter to an argument. Abstract classes, which declared with the abstract keyword, cannot be instantiated. It can only be used as a super-class for other classes that extend the abstract class. Abstract class is the concept and implementation gets completed when it is being realized by a subclass. In addition to this a class can inherit only from one abstract class (but a class may implement many interfaces) and and must override all its methods/properties that are declared to be abstract and may override virtual methods/ properties. Abstract classes are ideal when implementing frameworks. As an example, let’s study the abstract class named LoggerBase below. Please carefully read the comments as it will help you to understand the reasoning behind this code. /// inside the abstract class itself, irrespective of it origin. /// If you study carefully you will find a reason for not to have "set" method here. The idea of having this class as an abstract is to define a framework for exception logging. This class will allow all subclass to gain access to a common exception logging module and will facilitate to easily replace the logging library. By the time you define the LoggerBase, you wouldn’t have an idea about other modules of the system. But you do have a concept in mind and that is, if a class is going to log an exception, they have to inherit the LoggerBase. In other word the LoggerBase provide a framework for exception logging. Let’s try to understand each line of the above code. Like any other class, an abstract class can contain fields, hence I used a private field named logger declare the ILog interface of the famous log4net library. This will allow the Loggerbase class to control, what to use, for logging, hence, will allow changing the source logger library easily. The access modifier of the constructor of the LoggerBase is protected. The public constructor has no use when the class is of type abstract. The abstract classes are not allowed to instantiate the class. So I went for the protected constructor. The abstract property named LogPrefix is an important one. It enforces and guarantees to have a value for LogPrefix (LogPrefix uses to obtain the detail of the source class, which the exception has occurred) for every subclass, before they invoke a method to log an error. The method named LogError is protected, hence exposed to all subclasses. You are not allowed or rather you cannot make it public, as any class, without inheriting the LoggerBase cannot use it meaningfully. Let’s find out why the property named IsThisLogError is public. It may be important/ useful for other associated classes of an inherited class to know whether the associated member logs its errors or not. Apart from these you can also have virtual methods defined in an abstract class. The virtual method may have its default implementation, where a subclass can override it when required. All and all, the important factor here is that all OOP concepts should be used carefully with reasons, you should be able to logically explain, why you make a property a public or a field a private or a class an abstract. Additionally, when architecting frameworks, the OOP concepts can be used to forcefully guide the system to be developed in the way framework architect’s wanted it to be architected initially. In summary the Interface separates the implementation and defines the structure, and this concept is very useful in cases where you need the implementation to be interchangeable. Apart from that an interface is very useful when the implementation changes frequently. Some say you should define all classes in terms of interfaces, but I think recommendation seems a bit extreme. Interface can be used to define a generic template and then one or more abstract classes to define partial implementations of the interface. Interfaces just specify the method declaration (implicitly public and abstract) and can contain properties (which are also implicitly public and abstract). Interface definition begins with the keyword interface. An interface like that of an abstract class cannot be instantiated. If a class that implements an interface does not define all the methods of the interface, then it must be declared abstract and the method definitions must be provided by the subclass that extends the abstract class. In addition to this an interfaces can inherit other interfaces. The sample below will provide an interface for our LoggerBase abstract class. In .NET/ C#, a class can be defined to implement an interface and also it supports multiple implementations. When a class implements an interface, an object of such class can be encapsulated inside an interface. A class and an interface are two different types (conceptually). Theoretically a class emphasis the idea of encapsulation, while an interface emphasis the idea of abstraction (by suppressing the details of the implementation). The two poses a clear separation from one to another. Therefore it is very difficult or rather impossible to have an effective meaningful comparison between the two, but it is very useful and also meaningful to have a comparison between an interface and an abstract class. There are quite a big difference between an interface and an abstract class, even though both look similar. Interface has no implementation, but they have to be implemented. Abstract class’s methods can have their own default implementations and they may be extended. The Abstract class’s methods could run independant of the inherting class. Abstract class’s methods can’t have implementation only when declared abstract. Abstract class can be used to provide some default behavior for a base class. Abstract classes are an excellent way to create planned inheritance hierarchies and also to use as non-leaf classes in class hierarchies. Abstract classes let you define some behaviors; they force your subclasses to provide others. For example, if you have an application framework, an abstract class can be used to provide the default implementation of the services and all mandatory modules such as event logging and message handling etc. This approach allows the developers to develop the application within the guided help provided by the framework. However, in practice when you come across with some application-specific functionality that only your application can perform, such as startup and shutdown tasks etc. The abstract base class can declare virtual shutdown and startup methods. The base class knows that it needs those methods, but an abstract class lets your class admit that it doesn't know how to perform those actions; it only knows that it must initiate the actions. When it is time to start up, the abstract class can call the startup method. When the base class calls this method, it can execute the method defined by the child class. As mentioned before .Net support multiple implementations, the concept of implicit and explicit implementation provide safe way to implement methods of multiple interfaces by hiding, exposing or preserving identities of each of interface methods, even when the method signatures are the same. Let's consider the interfaces defined below. Here you can see that the class Student has implicitly and explicitly implemented the method named Dispose() via Dispose and IDisposable.Dispose. The ability of a new class to be created, from an existing class by extending it, is called inheritance. According to the above example the new class (IOException), which is called the derived class or subclass, inherits the members of an existing class (Exception), which is called the base class or super-class. The class IOException can extend the functionality of the class Exception by adding new types and methods and by overriding existing ones. Just like abstraction is closely related with generalization, the inheritance is closely related with specialization. It is important to discuss those two concepts together with generalization to better understand and to reduce the complexity. One of the most important relationships among objects in the real world is specialization, which can be described as the “is-a” relationship. When we say that a dog is a mammal, we mean that the dog is a specialized kind of mammal. It has all the characteristics of any mammal (it bears live young, nurses with milk, has hair), but it specializes these characteristics to the familiar characteristics of canis domesticus. A cat is also a mammal. As such, we expect it to share certain characteristics with the dog that are generalized in Mammal, but to differ in those characteristics that are specialized in cats. The specialization and generalization relationships are both reciprocal and hierarchical. Specialization is just the other side of the generalization coin: Mammal generalizes what is common between dogs and cats, and dogs and cats specialize mammals to their own specific subtypes. Similarly, as an example you can say that both IOException and SecurityException are of type Exception. They have all characteristics and behaviors of an Exception, That mean the IOException is a specialized kind of Exception. A SecurityException is also an Exception. As such, we expect it to share certain characteristic with IOException that are generalized in Exception, but to differ in those characteristics that are specialized in SecurityExceptions. In other words, Exception generalizes the shared characteristics of both IOException and SecurityException, while IOException and SecurityException specialize with their characteristics and behaviors. In OOP, the specialization relationship is implemented using the principle called inheritance. This is the most common and most natural and widely accepted way of implement this relationship. Polymorphisms is a generic term that means 'many shapes'. More precisely Polymorphisms means the ability to request that the same operations be performed by a wide range of different types of things. At times, I used to think that understanding Object Oriented Programming concepts have made it difficult since they have grouped under four main concepts, while each concept is closely related with one another. Hence one has to be extremely careful to correctly understand each concept separately, while understanding the way each related with other concepts. Method overloading is the ability to define several methods all with the same name. The operator overloading (less commonly known as ad-hoc polymorphisms) is a specific case of polymorphisms in which some or all of operators like +, - or == are treated as polymorphic functions and as such have different behaviors depending on the types of its arguments. I above example I have overloaded the plus operator for adding two complex numbers. There the two properties named Real and Imaginary has been declared exposing only the required “get” method, while the object’s constructor is demanding for mandatory real and imaginary values with the user defined constructor of the class. Method overriding is a language feature that allows a subclass to override a specific implementation of a method that is already provided by one of its super-classes. A subclass can give its own definition of methods but need to have the same signature as the method in its super-class. This means that when overriding a method the subclass's method has to have the same name and parameter list as the super-class' overridden method. In above example I have extended the implementation of the sample Complex class given under operator overloading section. This class has one overridden method named ToString, which overrides the default implementation of the standard ToString method to support the correct string conversion of a complex number. A Use Case is a thing an actor perceives from the system. A Use Case maps actors with functions. Importantly, the actors need not be people. As an example, a system can perform the role of an actor, when it communicate with another system. Achieves some concrete goal for the user. A complete set of Use Cases largely defines the requirements for your system: everything the user can see, and would like to do. The below diagram contains a set of use cases that describes a simple login module of a gaming website. Class diagrams are widely used to describe the types of objects in a system and their relationships. Class diagrams model class structure and contents using design elements such as classes, packages and objects. Class diagrams describe three different perspectives when designing a system, conceptual, specification, and implementation. These perspectives become evident as the diagram is created and help solidify the design. The Class diagrams, physical data models, along with the system overview diagram are in my opinion the most important diagrams that suite the current day rapid application development requirements. Package diagrams are used to reflect the organization of packages and their elements. When used to represent class elements, package diagrams provide a visualization of the name-spaces. In my designs, I use the package diagrams to organize classes in to different modules of the system. A sequence diagrams model the flow of logic within a system in a visual manner, it enable both to document and validate your logic, and are used for both analysis and design purposes. Sequence diagrams are the most popular UML artifact for dynamic modeling, which focuses on identifying the behavior within your system. The two-tier architecture is refers to client/ server architectures as well, the term client/ server was first used in the 1980s in reference to personal computers (PCs) on a network. The actual client/ server model started gaining acceptance in the late 1980s, and later it was adapted to World Wide Web programming. According to the modern days use of two-tier architecture the user interfaces (or with ASP.NET, all web pages) runs on the client and the database is stored on the server. The actual application logic can run on either the client or the server. So in this case the user interfaces are directly access the database. Those can also be non-interface processing engines, which provide solutions to other remote/ local systems. In either case, today the two-tier model is not as reputed as the three-tier model. The advantage of the two-tier design is its simplicity, but the simplicity comes with the cost of scalability. The newer three-tier architecture, which is more famous, introduces a middle tier for the application logic. The three tier software architecture (also known as three layer architectures) emerged in the 1990s to overcome the limitations of the two tier architecture. This architecture has aggressively customized and adopted by modern day system designer to web systems. Three-tier is a client-server architecture in which the user interface, functional process logic, data storage and data access are developed and maintained as independent modules, some time on separate platforms. The term "three-tier" or "three-layer", as well as the concept of multi-tier architectures (often refers to as three-tier architecture), seems to have originated within Rational Software. The Model-View-Controller (MVC) architecture separates the modeling of the domain, the presentation, and the actions based on user input into three separate classes. Unfortunately, the popularity of this pattern has resulted in a number of faulty usages; each technology (Java, ASP.NET, etc.) has defined it in their own way making it difficult to understand. In particular, the term "controller" has been used to mean different things in different contexts. The definitions given bellow are the closes possible ones I found for ASP.NET version of MVC. Model: DataSet and typed DataSet (some times business object, object collection, XML, etc.) are the most common uses of the model. View: The ASPX and ASCX files generally handle the responsibilities of the view. Controllers: The handling of events or the controlling is usually done in the code-behind class. In a complex n-tier distributed system the MVC architecture place the vital role of organizing the presentation tier of the system. A service-oriented architecture is essentially a collection of services. These services communicate with each other. The communication can involve either simple data passing or it could involve two or more services coordinating some activity. Some means of connecting services to each other is needed. .NET Framework introduced SOA by means of web services. The SOA can be used as the concept to connect multiple systems to provide services. It has it's great share in the future of the IT world. According to the imaginary diagram above, we can see how the Service Oriented Architecture is being used to provide a set of centralized services to the citizens of a country. The citizens are given a unique identifying card, where that card carries all personal information of each citizen. Each service centers such as shopping complex, hospital, station, and factory are equipped with a computer system where that system is connected to a central server, which is responsible of providing service to a city. As an example when a customer enter the shopping complex the regional computer system report it to the central server and obtain information about the customer before providing access to the premises. The system welcomes the customer. The customer finished the shopping and then by the time he leaves the shopping complex, he will be asked to go through a billing process, where the regional computer system will manage the process. The payment will be automatically handled with the input details obtain from the customer identifying card. The regional system will report to the city (computer system of the city) while the city will report to the country (computer system of the country). The data access layer (DAL), which is a key part of every n-tier system, is mainly consist of a simple set of code that does basic interactions with the database or any other storage device. These functionalities are often referred to as CRUD (Create, Retrieve, Update, and Delete). The data access layer need to be generic, simple, quick and efficient as much as possible. It should not include complex application/ business logics. I have seen systems with lengthy, complex store procedures (SP), which run through several cases before doing a simple retrieval. They contain not only most part of the business logic, but application logic and user interface logic as well. If SP is getting longer and complicated, then it is a good indication that you are burring your business logic inside the data access layer. I know for a fact that this is a question for most, but from the other hand by reading many articles I have become aware that not everyone agrees to what business logic actually is, and in many cases it's just the bridge in between the presentation layer and the data access layer with having nothing much, except taking from one and passing to the other. In some other cases, it is not even been well thought out, they just take the leftovers from the presentation layer and the data access layer then put them in another layer which automatically is called the business logic layer. However there are no god said things that cannot be changed in software world. You can change as and when you feel comfortable that the method you apply is flexible enough to support the growth of your system. There are many great ways, but be careful when selecting them, they can over complicating the simple system. It is a balance one needs to find with their experience. As a general advice when you define business entities, you must decide how to map the data in your tables to correctly defined business entities. The business entities should meaningfully define considering various types of requirements and functioning of your system. It is recommended to identify the business entities to encapsulate the functional/ UI (User Interface) requirements of your application, rather than define a separate business entity for each table of your database. For example, if you want to combine data from couple of table to build a UI (User Interface) control (Web Control), implement that function in the Business Logic Layer with a business object that uses couple of data object to support with your complex business requirement. The Gang of Four (GoF) patterns are generally considered the foundation for all other patterns. They are categorized in three groups: Creational, Structural, and Behavioral. Here you will find information on these important patterns. The two design patterns are fundamentally different. However, when you learn them for the first time, you will see a confusing similarity. So that it will make harder for you to understand them. But if you continue to study eventually, you will get afraid of design patterns too. It is like infant phobia, once you get afraid at your early age, it stays with you forever. So the result would be that you never look back at design patterns again. Let me see whether I can solve this brain teaser for you. In the image below, you have both design pattern listed in. I am trying to compare the two one on one to identify the similarities. If you observe the figure carefully, you will see an easily understandable color pattern (same color is used to mark the classes that are of similar kind). Please follow up with the numbers in the image when reading the listing below. Mark #1: Both patterns have used a generic class as the entry-class. The only difference is the name of the class. One pattern has named it as “Client”, while the other named it as “Director”. Mark #2: Here again the difference is the class name. It is “AbstractFactory” for one and “Builder” for the other. Additionally both classes are of type abstract. Mark #3: Once again both patterns have defined two generic (WindowsFactory and ConcreteBuilder) classes. They both have created by inheriting their respective abstract class. Mark #4: Finally, both seem to produce some kind of a generic output. Now, where are we? Aren’t they looking almost identical? So then why are we having two different patterns here? Let’s compare the two again side by side for one last time, but this time, focusing on the differences. Sometimes creational patterns are complementary: So you can join one or many patterns when you design your system. As an example builder can use one of the other patterns to implement which components get built or in another case Abstract Factory, Builder, and Prototype can use Singleton in their implementations. So the conclusion would be that the two design patterns exist to resolve two type of business problems, so even though they look similar, they are not. I hope that this shed some light to resolve the puzzle. If you still don’t understand it, then this time it is not you, it has to be me and it is since that I don’t know how to explain it. 5. What is the conclusion? I don't think, that it is realistic trying to make a programming language be everything to everybody. The language becomes bloated, hard to learn, and hard to read if everything plus the kitchen sink is thrown in. In another word every language has their limitations. As system architect and designer we should be able to fully and more importantly correctly (this also mean that you shouldn’t use a ballistic missile to kill a fly or hire FBI to catch the fly) utilize the available tools and features to build usable, sustainable, maintainable and also very importantly expandable software systems, that fully utilize the feature of the language to bring a competitively advance system to their customers. In order to do it, the foundation of a system places a vital role. The design or the architecture of a software system is the foundation. It hold the system together, hence designing a system properly (this never mean an *over* designing) is the key to the success. When you talk about designing a software system, the correct handling of OOP concept is very important. I have made the above article richer with idea but still kept it short so that one can learn/ remind all of important concept at a glance. Hope you all will enjoy reading it. It is good to learn all these theories, but one can ask the point of learning them if you don't know how to put them in to practise. These need to give us some benifits, right? Therefore, I thought that I should demonstrate the use of these concepts at least in one concrete project. Therefore, A team of us developed a framework called 'Nido' Framework. This virtually demonstrate the use of most of thse OOP concepts. It is very popular among developers these days. Nido Framework is a reusable, highly generic code library developed using Microsoft .NET/ C# to provide a common platform for all .NET systems. You can derive your project from Nido and quickly develop your systems. If you want to beat your colleage with your coding speed or want to meet those tough deadlines which you always failed to hit try using Nido. Today, most of the university student and professionals use Nido for their development and share their success stories. We have tested it with number of complex business applications where it prove to deliver stable, robust system at an extremely short time frame. If you want to check Nido source code or learn the architecture please visit the links given below. By the way it is open source and free to use in commercial projects. Added more content base on design principles. Added more details to explain the Composition. Added comparison between Abstract Factory and Builder. Updated some of the wording slightly. - Corrected the 'Composition' related description, as pointed here. Conclusion is updated and a link is added to Rocket-Framework. Special thanks goes to Jason Forbes, KP Lee and Tamer (Member 11378393) for their contributions to make some important corrections. In-depth coverage of Microsoft .Net, Cloud and many other cutting-edge Technologies. 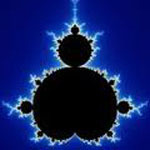 - The Mandelbrot set – someone has called it the thumb-print of God – is one of the most beautiful and remarkable discoveries in the entire history of mathematics. My profile picture is generated with that equation. Manipulation of Class with Windows Form Controls like TextBox, Buttons, Listview, Datagridview etc. I have read oops concept many times from different -2 articles and the concept is clear to me. I am working as software developer since last 7 years in c# dot net technology but still now i could not know how to manipulate the class with windows form controls to retrieve and save data to database as windows form controls are not accessible from custom class either this generate run time error or gives unexpected result. So here i want to know that how can i use windows controls with custom classes i mean i want to define functions like ADO.NET/sql command to get and save the data to database and other required functions in custom class using windows forms. I found your article generally accurate and useful, despite numerous spelling and grammatical errors. However, I must say that the article's coverage of OOP is overly complicated. This is not your fault but the fault of OOP as portrayed by languages like C#, Java, and C++. These languages make OOP harder than it has to be. These languages base OOP on the idea of Abstract Data Types and, as such, require all sorts of weird workarounds in order to make OOP usable. This kind of OOP is a bastardization of Alan Kay's brilliant OOP conception as exemplified in the Smalltalk programming language. Smalltalk programming is a most elegant and simple way to do OOP. By comparison, C#, Java, and C++ make OOP a nightmare. No wonder so many OOP developers don't know what they're doing! I recently published an article that tries to give a very simple explanation of OOP because, really, OOP should be simple: A Simple Explanation of OOP. Thanks for the good work !! Please any one answer what is the proper definition for class? Re: Please any one answer what is the proper definition for class? Hi, I know I am a little late to post an answer to this question , but it might help someone though. A class is like a blueprint of the instances / objects which surround us , for eg : if have four pen objects with you , you categorize that as "Writer" , you can create a "Writer" class which can serve as a super class and then you can create a more specialized classes like Pen, Pencil, Marker , SketchPens, ColorPens ,etc. (inheritance) .. see basically by creating a class we are practising encapsulation (one of features of OOPS). The explanation is very much comolictaed...It would have been great if you could have made it a bit simpler. Perhaps an article like mine will help? Object Oriented Programming with C++ - different language, but same principles. Sudden Sun Death Syndrome (SSDS) is a very real concern which we should be raising awareness of. 156 billion suns die every year before they're just 1 billion years old. it was great article, simple and smart. Thank you for the effort, you deserve some praise for this article! I found your article to be educational, insightful, entertaining and intellectually appealing. I especially enjoyed the part where you discussed the interaction of data patterns. It gave me a new perspective on data analysis and behavior classification. Thank you for taking the time and effort to put this together. Don't let the critic's get you down, not everyone speaks English natively and in my opinion you do a pretty decent job of getting your point across. This brings me to my two questions regarding the article. Firstly, I'm attempting to launch an educational blog focused on OOP and other related conceptual theories and philosophies. Would it be alright to cite some of your work in one of my posts? Of course I'll provide source attribution as well as link to, and recommend this article. Secondly, are you still looking for someone to edit this article? In terms of fixing it, grammatically? If so please let me know, I speak English as a first (and only) language and I'd be happy to rewrite your article for you. Oh and yes, for free haha. I only ask that in return you acknowledge my contribution, and should you feel it appropriate, consider linking to my blog. (It's not live yet). Anyway, even if the answer to both those queries is a resounding no I still wish to express my gratitude towards you for putting in the hard work and coming up with an article of high quality, and, I personally feel, of great intellectual merit. You have written a good and comprehensive article which many students can refer for their assignments and interview questions. "As a number of years pass by, these developers become leads and software architects. Their titles change, but the old legacy of not understanding, of not having any architectural experience, continues, creating a vacuum of good architects. The bottom line is that only a small percentage of developers know how to design a truly object oriented system." "I noticed that there is a knowledge gap, increasing every day, between architects who know how to architect a system properly and others who do not. The ones who know, know it right. But the ones who do not know, know nothing." "But how the hell is one supposed to have experience if no one is willing to give him a job? As in the general case, the start with software architecture is no exception". "In real world, you'll often find many individual objects all of the same kind. As an example, there may be thousands of other bicycles in existence, all of the same make and model. Each bicycle has built from the same blueprint. "...what is the author trying to explain with this statement? This is not even a coherent statement. And why does the author refer to a "Student" class in the previous paragraph and jump to bicycles in the next sentence???? This statement is misleading and just incorrect..."OOP is a design philosophy. It stands for Object Oriented Programming. Object-Oriented Programming (OOP) uses a different set of programming languages than old procedural programming languages (C, Pascal, etc. )"...try a google search using "OOP with C" or "OOP with Pascal" or "Object Pascal" or "Objective C". Should be able to extend any classes' behaviors, without modifying the classes..." Does not describe the principle to the reader...very confusing...even Wikipedia does a better job describing this principle..."In object-oriented programming, the open/closed principle states software entities (classes, modules, functions, etc.) should be open for extension, but closed for modification; that is, such an entity can allow its behavior to be extended without modifying its source code." "This article is a constructive attempt to group/ define/ explain all introductory concepts of software architecture for seasoned developers who are looking to take their next step as system architects." This article is an effort to provide an accurate information pool for new developers on the basics of software architecture, focusing on Object Oriented Programming (OOP). I could keep going, but just not worthy of my time. to sum it up, readers please, please purchase a book on the subject! Sorry about the delayed response.. I respect you for spending your quality time to criticize my article.. That shows your enthusiasm to get something better.. Mate, I have no regret in reading your comments.. But please understand my side of the story, I got four people to review and improve this article, unfortunately they were all non-tech reviewers. As yet I couldn't find a good ENGLISH tech guy who is generous enough to help me by doing this for FREE. So this is all I can do, as English is not my native language. Are you will to take it and help me?? If you do so, I will not hesitate to share the authorship of the article with you. This article is attracting thousands of viewers on daily basis.. So definitely it is not a waste of your time.. I may be mistaken but it seems to me your principal, and virtually exclusive argument against this article and subsequently its author (at minimum vicariously even if unintentional) is based entirely upon a prejudiced disposition towards people that do not speak English at a native level of fluency. You are by all means entitled to your subjective opinion but you make unsubstantiated claims against the intellectual quality and educational potential of this article. I mean no disrespect but I find it disheartening that someone completely disregards the hard work and thoughtful effort of another Human being, instead choosing to offer superfluous critical remarks against the article that do not bare any practicable basis in reality. As someone who claims to have held many "successful" positions in your career one would assume you'd see an article like this as an impetus for philosophical discussion. Even if you had technical, factual, or heck, even political inaccuracies to substaniate your negativity one would have assumed you would have challenged the concepts directly and offered compelling reasoning and evidence to support these rebuttals. At the very least, if you found no such attribute I would have thought you'd possess the wisdom and fundamental human decency to remain quiet on the matter. If the attitude and reasoning you've displayed here is commonplace in the "giant" corporate world then I fear humanity shall destroy itself far prior to the technical revolution and philosophical evolution required for such potential wonders as quantum computing, or, the division of fundamentally loathsome tasks to some robotic machination...Sigh, I was hoping never to have to work with UWP again...looks like I won't be able to delegate it to my Asimovian inspired metal friend anytime soon. Bugger! I'd go on to elucidate my theory of his I also think you've taken personal offense to the idea that a "veteran" developer may be subject to practices and behaviors which bare quickly becoming considered archaic and are reaching their expiration date in the corporate world.. But, I think I've given you enough grounds to be adequately disgruntled already. For some reason you remind me of the sort of coder who refuses to write comments, barely creates any entity that throws exceptions, let alone handles them and is responsible for cryptic and diagnostically useless error messages. Anyhow, you chose to throw in your 2 cents, so there's mine. After reading the first few paragraphs, I found it difficult to continue. I'm sure your article has some important points, but get someone to read/edit it before posting. But you know what, I got at least four people to review and improve it, they were all non-tech reviewers. As yet I couldn't find a ENGLISH tech guy who is generous enough to do it for me for FREE. I want you to research along this article and then you will see the number of readers it attract every day despite all the issues it is having.. Here is a deal.. If you are willing to review it for me, I have no regret in sharing the authorship with you .. Will you take it?? You don't "download articles" - they are there to read, not to be copied! I use Evernote's 'Web Clipper' to save articles to my note collection so I can easily read again later. If you need a refresh on concepts this is a good read.